Next, it's the redhead's turn. 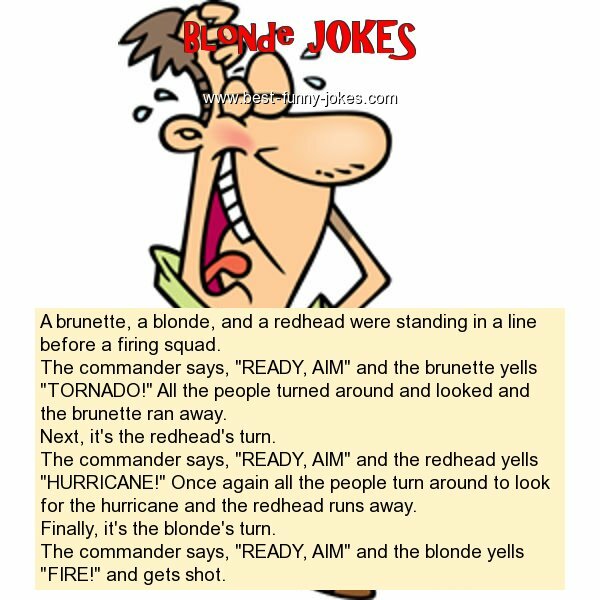 The commander says, "READY, AIM" and the redhead yells "HURRICANE!" Once again all the people turn around to look for the hurricane and the redhead runs away. Finally, it's the blonde's turn. The commander says, "READY, AIM" and the blonde yells "FIRE!" and gets shot.